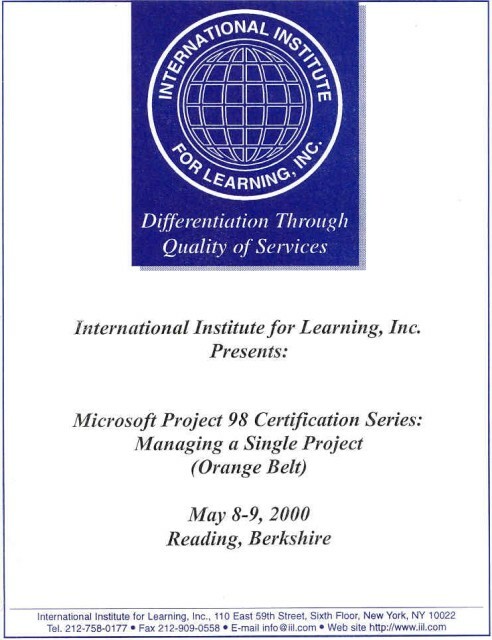 As part of my Product/Project manager role at Insider Technologies Limited, I attended a Project ’98 course in Reading, Berkshire. 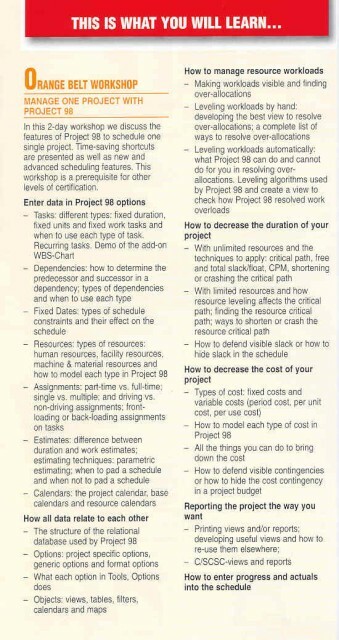 This was a 2-day course to add to my current experience in using this planning product. 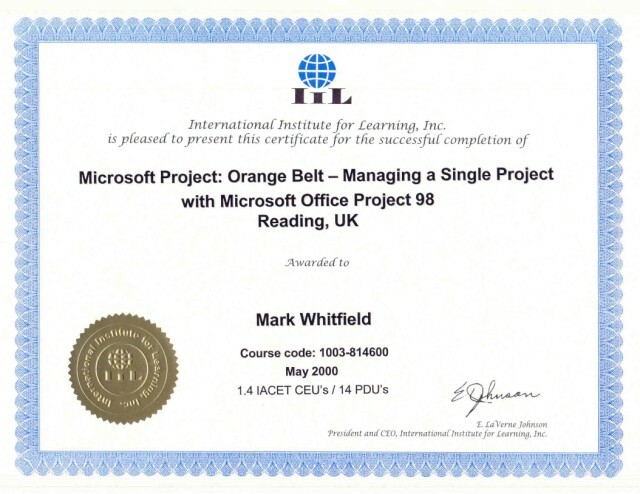 After completing the course, I was responsible for updating other ITL Product Managers on the more sophisticated functions of the product and best practices for setting up project plans using Microsoft Project.